This isn’t the first lighting change the Pyramid went through. Switching to halide lamps in 2005 from 100W halogen lamps changed the glow from orange to white. It looks like this latest lighting change has unified the illumination through the pyramid so that is evenly bright. 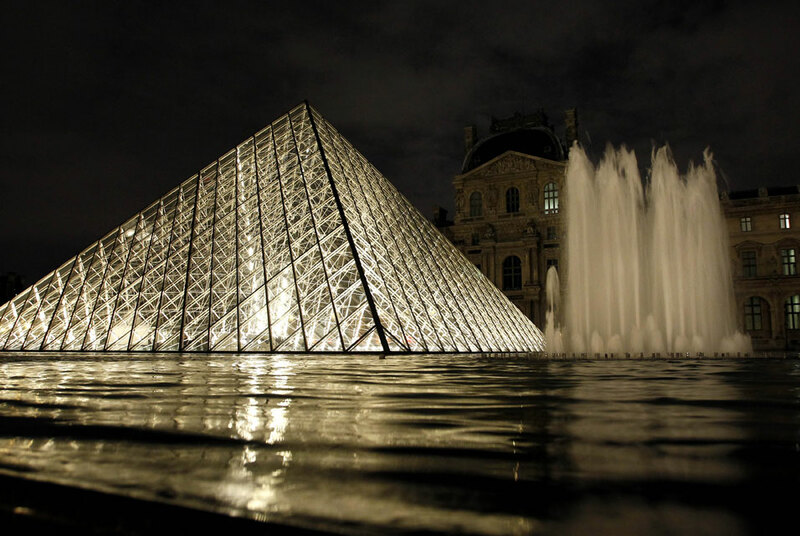 I think it enhances I. M. Pei’s work and punctuates the Louvre courtyard.